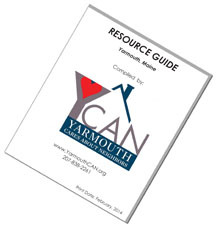 An updated version of the YCAN tri-fold brochure has been printed, and is now available at Town Hall and Merrill Library (and elsewhere as well). A PDF of the brochure is available for download by clicking here. We had a few hiccups switching over to this layout… we just learned that folks who receive an e-mail every time a new item is posted here have received a couple of strange e-mails (just a logo & nothing else, etc.). We apologize for that, and thank you for your patience. Comments. suggestions, corrections, etc. on our site’s layout or content are always welcome. To do so, leave a comment on any of our home page posts by clicking on the “Leave a comment” link at the bottom left of the post, or send us an e-mail: ycan@ycan.info. Thank you!